Translated into more than a dozen languages, David Randall’s handbook is an invaluable guide to the “universals” of good journalistic practice for professional and trainee journalists worldwide. Randall emphasizes that good journalism isn’t just about universal objectives: it must also involve the acquisition of a range of skills that will empower journalists to operate in an industry where ownership, technology, and information are constantly changing. His acclaimed account challenges old attitudes and rejects cynical, sloppy journalism. This updated, fifth edition of The Universal Journalist ensures its relevance to contemporary readers by addressing new tools for digital research, along with issues such as the problem of the replacement of trained journalists by social media and other untrained “citizen journalists” in the media. "A wise, witty and extremely entertaining read. . . . 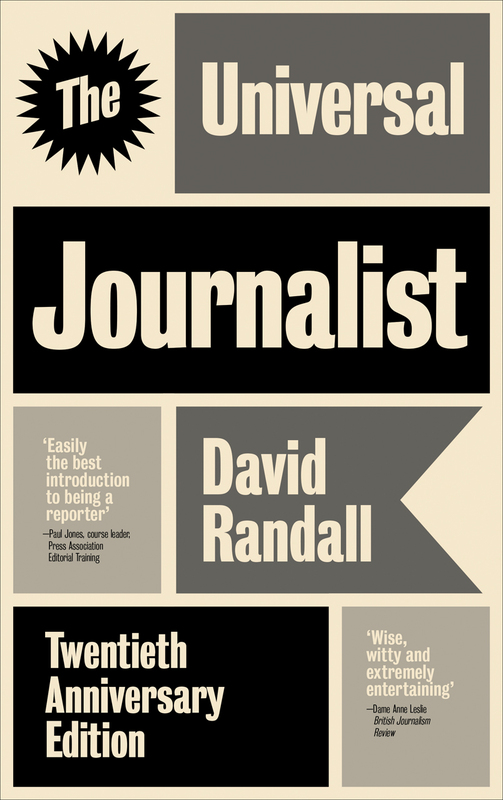 Anyone who aspires to be a journalist--in any of the media--should read Randall."